Blog my breakfest why dontcha? 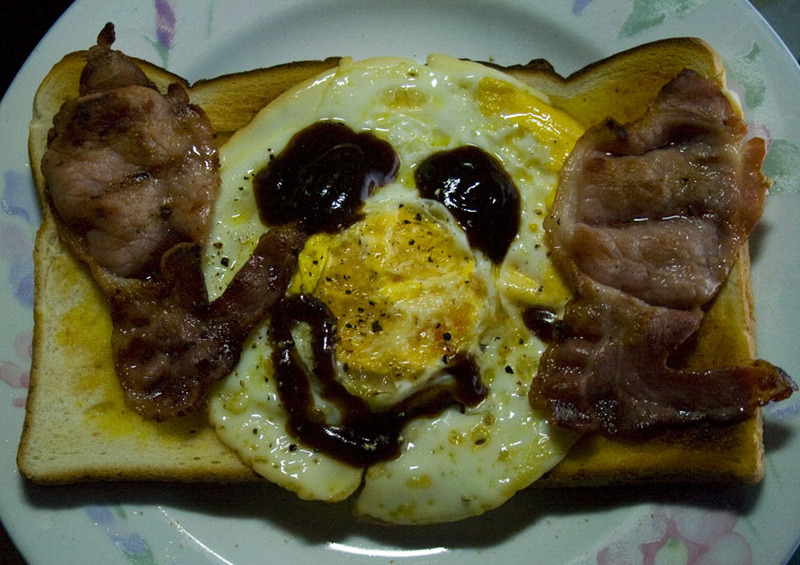 Catherine & Philip- SELF PORTRAITS IN BACON & EGGS! 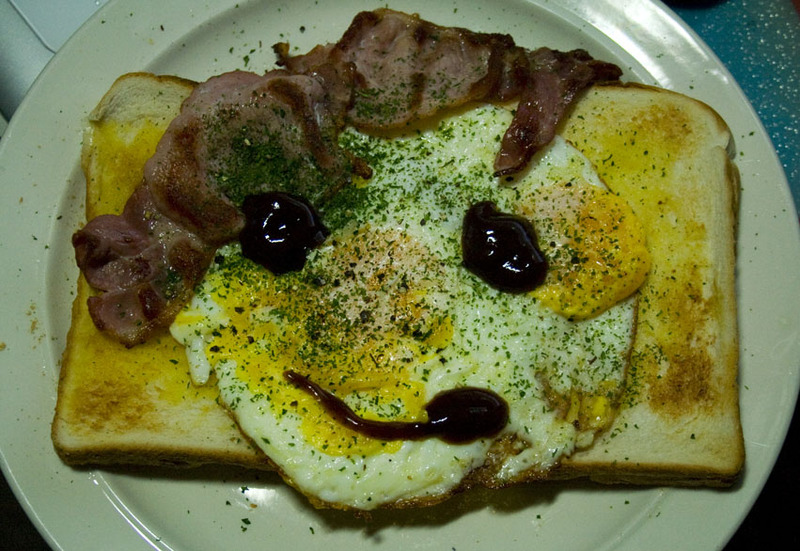 Bacon & Eggs on toast with a janty hairstyle! This was Cartherine’s breakfest this morning…….and she tells me it was very nice! Bacon & Eggs with Big Ears! 02 Feb	This entry was published on February 2, 2010 at 4:51 pm. It’s filed under food, fun and tagged 2010, bacon, battle, blog, breakfest, eggs, food, liverpool, philip, photos, playful, toast, uk. Bookmark the permalink. Follow any comments here with the RSS feed for this post. Older: THE INVADERS…..A Green Party Production?